Providing you with a wide range of liquid waste disposal services across Cumbria, we deliver industry accredited, professional liquid waste disposal services at the most competitive rates. Unblock has more than ten years experience in nuclear decommissioning and sector specific project work. Call us today to find out how our nuclear drainage & CCTV inspection expertise can help to progress your project. We provide an affordable and professional CCTV Drain Surveying service using the very latest CCTV technology to produce in-depth and comprehensive drain surveys for our customers. Cumbria's leading industrial cleaning specialist. Call on us for specialist road gully and interceptor cleaning; heat exchanger or process pipe cleaning; process effluent drain cleaning, tank cleaning and inspection services. Our fully trained, accredited and qualified staff are ready to help. Our septic tank service is environmentally friendly and we guarantee that the effluent from your sewage disposal will be processed and recycled at a licensed treatment plant. Call today on 01900 670140 to arrange your septic tank emptying when it suits you. Cumbria's 24 hour drain & waste water specialist. Call us on 01900 870140. Services include: drain cleaning, drain CCTV surveys, jetting, cleaning, repairs, tank cleaning and vacuum tanker services. We unblock toilets, sinks, drains and sewers. 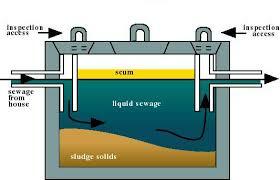 We clean tanks, interceptors, septic tanks and wet wells. We inspect drains and sewers with trained staff and specialist equipment. We service package treatment plants. We repair pipes, drains and sewers. We provide these services to industrial, commercial and home owning customers. Click on one of the links above or use the services tab to find out more. Call us today to find out how we can help.